I haven't been sure where to post this, but I have been a longtime Celtics fan, since the early 80's who has lived on the West Coast my whole life. Because of this most of the time I have watched the Celtics on TV through the years. But I have had the opportunity to attend a few Celtics Games through the years out here. Unfortunately I have never had the opportunity to watch the Celtics in Boston. I have caught a couple of Red Sox games at Fenway Park, but I have only been to Boston in the summer and have missed any chance to see the Celtics. I got to see the Celtics play in Seattle against the SuperSonics in 87 where Bird hit the game-winning shot over Xavier McDaniel that is talked about all the time. That was incredible to see live. As a side note I was 17 years old and there with my parents and the Sonics fans behind me were making fun of Danny Ainge, saying who goes by the name "Danny" at his age. Then a few seconds after they said this, the Sonics announcer says, checking into the game for the Sonics "Danny Vranes." I couldn't resist so I talked some smack with them and said oh what about being called Danny? One other caveat to this game was that after Bird hit his shot there were a couple of seconds left on the clock and they called a time out and ran a play for Dale Ellis and his last second shot attempt was blocked by the great Dennis Johnson. On the way out of the game I was telling Sonics fans they should have never gotten rid of DJ! The next historical game I got to see was when was living in Los Angeles. I was at the game where a young Paul Pierce put up 42 points in a loss to the Lakers, but this was the game where Shaq was quoted after the game that Paul Pierce is the Truth, you can mark it down. The last historical game came in 2013 while I got to see them play the Sacramento Kings. This game was historical because in the 4th quarter Brad Stevens got ejected by the refs for arguing. This was the first and only time in his career, college or pro that he has ever been ejected. Also, in this game Isaiah Thomas went off against the Celtics, I remember not knowing much about him and being surprised how well he was scoring against us. Anyway, I have felt pretty lucky to have seen some of these things live considering I have not had to opportunity to see many games! Go CELTICS!!!! Anyone else have any great memories to share of live games you have attended? Bookend Larry Bird memories at the old Garden. I was there for his first game at home vs thee Rockets, and his last "in uniform" for Larry Bird Night". During the `86 playoffs I was there for the most perfect period of basketball I've ever seen. The C's outscored the Hawks 36-6 one quarter (I think it was the first), putting on a clinic in every way imaginable. 2008 banner raising opening night vs the Cavs was pretty special too. More recently, I was there for Pierce's last game winner as a Celtic vs the Clippers. I saw this game live in Washington (Landover, MD actually). Bird was absolutely amazing. Darrell Walker was almost as good. He hit some shots that in any other game would have been legendary. The write up below captures some of the highlights but the night was filled with no look passes, crafty help defense, and just about anything else you can think of a player can do to help a team win. Best game that I ever saw live. Were this late April or early May, the Washington Bullets' 140-139 double overtime loss to the Boston Celtics Saturday night at Capital Centre would have been the subject of days' worth of media scrutiny and weeks' worth of playground imitation. "If it had been a playoff-type game," Bullets Coach Kevin Loughery said yesterday, "people would talk about it for a long time." People may talk about it for a long time, anyway. Larry Bird played 53 of the game's 58 minutes, scored 47 points on 19-of-29 field-goal shooting, grabbed eight rebounds and made seven assists. His 23-footer from the right wing as time expired gave Boston the win. He also sank a three-point goal from beyond the top of the key with four seconds remaining in regulation to tie the game; his three-point attempt while falling into the scorer's table as time expired in the first overtime had nearly won it (the shot hit the back of the rim and bounced out). 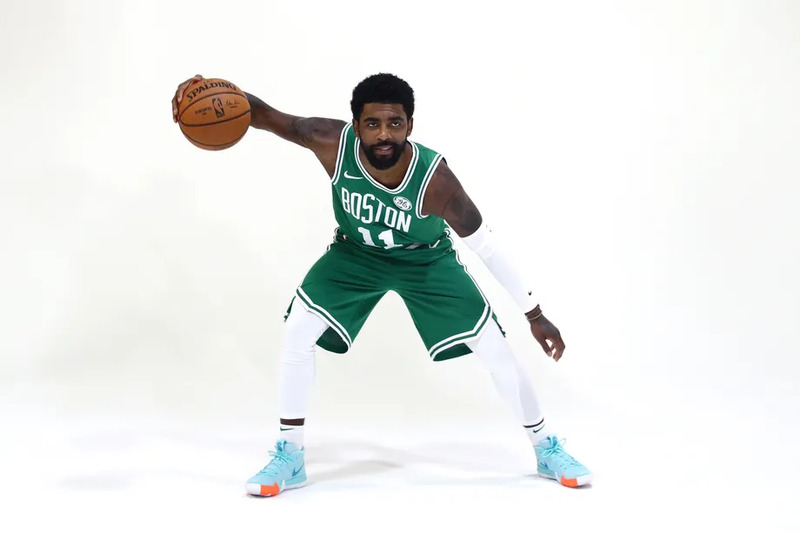 Oh yes, he also made two free throws with four seconds left in the first overtime to give the Celtics a 131-129 lead that was erased when one of Washington's recent acquisitions, ex-Denver Nuggets guard Darrell Walker, sank a 19-footer to tie it with one second left. "Bird was just unbelievable," Loughery said. Bird's 47 points are the most any Celtics player has ever scored against the Bullets in a regular season game. After an offseason during which he retooled his body with three-hour workouts five or six days a week, Bird seems poised for a special season. "He's thinner than he was last season, but he's bigger in his arms and upper body," said Bullets forward Charles Jones, who had the misfortune of having to cover Bird on the game-ending sequence, an inbound play from halfcourt. "He's shooting the ball better than I've seen him shoot in years. He's making shots you wouldn't want most guys to take, and it's not like he's lucking them in -- they're normal shots for him . . .
"On that last play I just tried to deny him the ball. They made a pretty good inbound pass and once he got it, there wasn't much I could do except hope his shot wouldn't go in." I've been to one game in person. It was the game last year when Brown landed on the back of his neck and laid motionless for a few minutes. The entire crowd was hushed and on their feet. Minny fans treated him with respect. I've only seen two games in person - first at Charlotte at the end of 2008. One of the Big 3 - think Pierce - had a kid shortly beforehand and so Doc gave the entire Big 3 the night off Got to see Posey, Powe and House lead the team to a blowout win anyway. Saw them the next season at Washington. All of the Big 3 played - yay! - but Washington was one of the worst teams in the league that year and we crushed them by over 30. Welp those are my stories. My one and only in-person Celtics game was the one against Brooklyn in which Rondo got ejected for fighting with Brook Lopez. Boston lost that game, which bummed me out, but it was at least memorable. That also broke Rondo's 10+ assist streak which was starting to get close to the all-time record if I remember right. The games I have seen in person are from Larry Bird's last season in 1992 , 4 home games against the Warriors, Bullets, Hawks and Pistons, Celtics won them all , Best individual performance from that lot was Micheal Adams dropping 37 for the Bullets. Best memories from those games was a big comeback in the fourth against the Lakers at the forum, I think at the time it was a record 49 points in the win. Actually stayed at the same hotel as the team in Denver, waiting to get in the elevator out walks Robert Parish, impeccably dressed , it is striking how talk those seven footers are up close and personal. Saw them play another set of home games against Dallas, Philadelphia and the Suns. Only lose was against Barkley's Suns, that was his MVP season. Turned out to be McHale and Reggie Lewis' last season for the team that year. The season opener in 2010. Shaq's first game with the Celts, the first game with Lebron and Bosh on the Heat, a Celtics win, an electric crowd. It was my first game seeing Shaq in person, and that guy is just a giant compared to other players. Was that when he had back to back game winners? I remember seeing Shaq play the Celtics very early in his career, I can't remember if it was his rookie season or not, but it was crazy watching him destroy the older Celtics front line. 2002 Round 1 Game 5 vs the Sixers is probably one of my fondest memories. Sat in the nose bleeds. That was the first playoff game I went to. It was awesome seeing the Celtics finally relevant again. The 90's were so disappointing. Antoine's first game back as a Celtic was cool. He'd always been a favorite player of mine, and I was thrilled to have him back. I also went to quite a few games during the Pierce/Garnett era, including game 2 of the 2008 Finals and game 3 of the 2010 Finals. Opening night in 2007 when the team made their debut with Garnett/Allen was crazy, and opening night in 2008 when they raised the banner was even better. Finally getting to see one of all those banners put up in person was surreal. Haven't been to very many games since 2012, and none really stick out as overly memorable. 2012 ECF game 4. The OT win against the Heat to tie up the series, and LeBron fouling out. Man the Garden was rocking that night. Such a Rondo way to miss out on (potentially) getting an NBA record - fighting a 7 footer. Yep, I drove approximately 19 hours across the country with a buddy to catch that game. It was my parents’ baccalaureate graduation gift to me. The crowd was definitely rocking that night. The best and loudest moment was when Lebron fouled out. Gave me chills!